Three African books are Lambda Literary Awards 2019 finalists. Uzodinma Iweala, Trifonia Melibea Obono, and The Gerald Kraak Award Anthology are Lambda Literary Awards 2019 finalists. 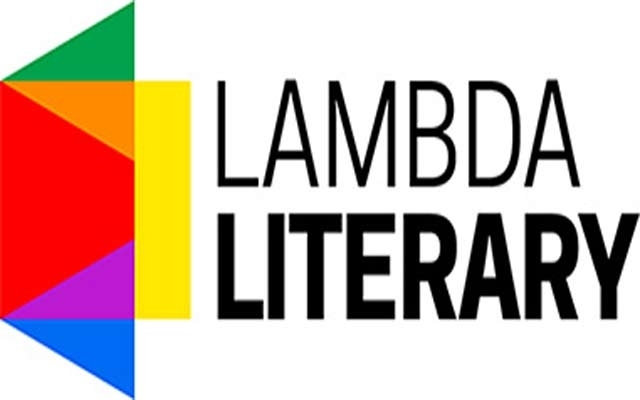 The Lambda Literary Awards, or the “Lammys,” as they are known are an award of Lambda Literary, the United States oldest and largest literary arts organization advancing LGBTQ literature. Previous winners of the awards from Africa include Chike Frankie Edozien for Lives of Great Men in 2018, and Chinelo Okparanta twice for Under The Udala Trees in 2016 and for Happiness, Like Water in 2014. As they turn thirty-one this year, the awards, like in previous years, will be handed out in the categories of Lesbian Fiction, Gay Fiction, Bisexual Fiction, Transgender Fiction, LGBTQ Nonfiction, Bisexual Nonfiction, Transgender Nonfiction, Lesbian Poetry, Gay Poetry, Transgender Poetry, Lesbian Mystery, Gay Mystery, Lesbian Memoir/Biography, Gay Memoir/Biography, Lesbian Romance, Gay Romance, LGBTQ Anthology, LGBTQ Children’s/Young Adult, LGBTQ Drama, LGBTQ Erotica, LGBTQ Graphic Novels, LGBTQ SF/F/Horror, and LGBTQ Studies. Looking through the finalist’s list for 2019 one can see three African titles. In the long-anticipated follow-up novel from the author of the critically acclaimed Beasts of No Nation, a revelation shared between two privileged teenagers from very different backgrounds sets off a chain of events with devastating consequences. Read more about the book here. The first novel by an Equatorial Guinean woman to be translated into English, La Bastarda is the story of the orphaned teen Okomo, who lives under the watchful eye of her grandmother and dreams of finding her father. Forbidden from seeking him out, she enlists the help of other village outcasts: her gay uncle and a gang of “mysterious” girls revelling in their so-called indecency. Drawn into their illicit trysts, Okomo finds herself falling in love with their leader and rebelling against the rigid norms of Fang culture. Get a hold of the book here. LGBTQ Anthology: As You Like It: The Gerald Kraak Anthology Volume II, The Other Foundation, Jacana Media. Just like last year when an anthology made the finalists cut, this year it is As You Like It: The Gerald Kraak Anthology Volume II published by The Other Foundation and Jacana Media. As You Like It, is a collection of the short-listed entries submitted for the Gerald Kraak Award. This anthology offers a window into deeply located visions and voices across Africa. It brings together stories of self-expression, identity, sexuality and agency, all located within Africa and its legacy. Find out more about it here. The winners will be announced at a ceremony in New York, USA on June 3. Previous Previous post: The Writivism 2019 mentors have been announced. Next Next post: Babishai to celebrate 10th anniversary on World Poetry Day 2019.